Hazel Edna Cayer (Perkins), 93, of Wakefield, RI passed away peacefully surrounded by her family on September 30, 2018. She was the loving wife of Wilfred Cayer and together they shared 64 years of marriage. Born in Wood River Junction, RI she was the daughter of William and Marion (Enos) Perkins. Hazel was a secretary and office manager for many years but her happiest profession was that of homemaker. She enjoyed gardening and maintained beautiful flower beds that neighbors admired. She was an expert seamstress and often made matching outfits for her children. She always enjoyed animals and especially her cats. 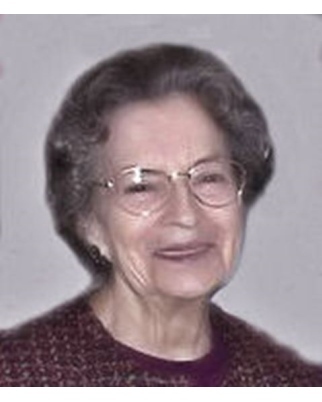 Besides her husband Wilfred, she leaves her five children: Christine Cayer of Glenside, PA, Mary Jane Cayer (Ross Paasche’) of New Bedford, MA, Sabina Woods (Russel) of St. Augustine, FL, Raymond Cayer of Hopkinton, RI, Monica Coughlin of Cranston, RI, ; five grandchildren, three great grandchildren and several nieces and nephews. She was preceded in death by her son-in-law John J Coughlin, Jr and her four siblings: Robert Perkins, Marion “Sis” Burgess, Donald Perkins and Bess McCall. Funeral services will be held at 11:00 a.m. on Friday, October 5, 2018 at St. Mary’s Church, 437 Carolina Back Rd., Carolina. A viewing will be held at the church from 10:00a.m. to 11:00a.m. until the time of the mass. Burial will be private. In lieu of flowers, please arrange a mass to be heard in her memory or consider a donation in her name to a charity that is meaningful to you. For online condolences, please visit www.averyfuneralhome.com.